Tēnā anō koutou katoa. He mihi nui ki ngā āhautanga o Hine Raumati, otirā ki ngā hua o Rongomatāne. Greetings to you all at this time of our summer Goddess Hine Raumati and the fruits of our God of cultivation Rongomatāne. Aotearoa/New Zealand is becoming such a diverse and multicultural gem of the South Pacific so what better way to celebrate that diversity by acknowledging other customs as well as the Christmas traditions. That being said I invite you to share your customs that you practice at this time of the year as a way of celebrating our unique diversity. Now, back to business. Although it’s only been a short time since I’ve taken over as Kaiwhakahaere Matua the work continues. I’ve used the past month to transition into the role although my initial focus into 2017 is to increase connectivity amongst the community sector as well as government and business. I consider every meeting or event as an opportunity to increase our connectivity and engagement with the sector, government and business. 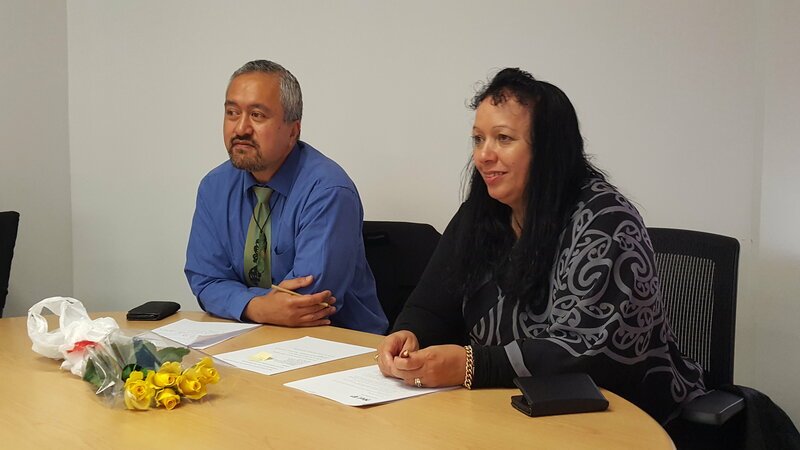 Within the areas of work we continue to engage with sector groups such as Multicultural NZ, Platform Trust, Social Service Providers Aotearoa (who will soon be new roomies with Hui E! and Volunteering NZ here at the Community Hub! ), Birthright NZ, National Council Fiji Communities NZ, UNICEF, Equality Network, Network Waitangi Ōtautahi, Think Tank, NZ Federation of Family Budgeting Services, Family Planning, NZ Coalition to End Homelessness, Public Fundraising Regulatory Association, Fundraising Institute of NZ to name but a few. Our engagement with the government sector also continued with MBIE, Superu, SSC, Charities Services, Statistics NZ. 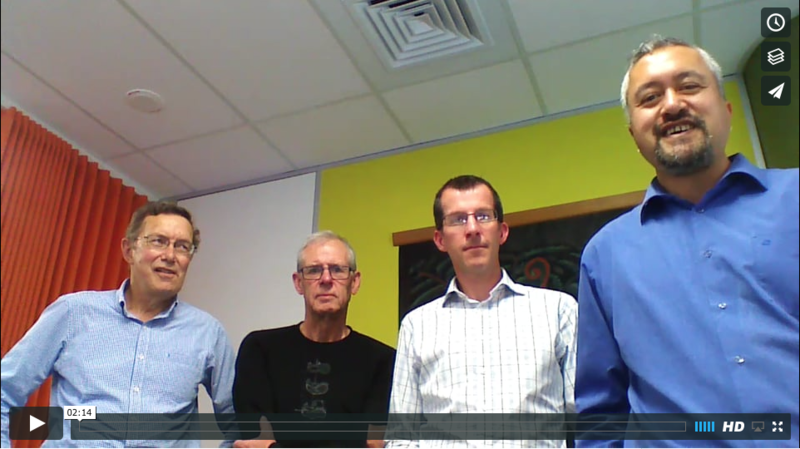 You may recall last month’s pānui where Deputy Prime Minister Bill English called in to the Community Hub to farewell Peter Glensor at our AGM. Now that it’s looking likely Bill English will be our next Prime Minister we may have some interesting conversations ahead. We also maintain international sector connections with CIVICUS, which provides a lot of value around what other internationally based nationwide civil society organisations are doing. Moving forward I’ll be looking how Hui E! can provide better and effective operations to support sector issues and general areas of work. This might include grouping issues/work into high level program areas. Let me know your thoughts and how we might incorporate the issues and work that matters most to you. I’ll also be looking at connecting our sector to United Nations platforms such as the United Nations Committee on World Food Security (CFS) where I’ve been engaged as an international Indigenous Peoples representative within the Civil Society Mechanism (CSM) of the CFS. The CFS is the largest international space of civil society organisations (CSOs) working to eradicate food insecurity and malnutrition. The CSM was founded in 2010, as an essential and autonomous part of the reformed CFS. The purpose of the CSM is to facilitate civil society participation and articulation into the policy processes of the CFS. It is an open and inclusive space and hence does not have formal members, but participating organisations. Every organisation that belongs to civil society and works on food security and nutrition can join and participate. In this regard, if you’re interested in learning more or being part of any of the constituencies such as Indigenous Peoples, NGOs, consumers, youth, women, smallholder farmers, fisherfolk, pastoralists, agriculture and food, landless, urban insecure then please let me know because we would welcome your contribution. Similarly, if you’re interested in learning more or being part of the policy working groups such as the SDGs, nutrition, monitoring, urbanization and rural transformation, connecting smallholders to markets, protracted crises, water, gender, global strategic framework, multi-year programme of work then please let me know. As we move into 2017 look out for our monthly video blogs featuring Hui E! staff and Trustees as a way of you getting to know us better. I would also like to invite you to be part of our monthly video blogs as another way to connect our sector so let me know if you’re interested – our story is your story! Kāti rā, ngā mihi anō ki ngā tūāhuatanga o te wahanga nei, arā ki a Hine Raumati, Rongomatāne, Hana Koko hoki. Ko te mea kē, kia anga tahi tātou i raro i te whakaaro kōtahi. I wish you all the best for the summer season as we move into the new year with a collective voice and a common focus. Heoi anō, ngā mihi nui ki a koutou katoa. Kiaora koutou, please note that the Hui E! and the Community Hub office will be closed from 5 pm Friday 23 December 2016 and will reopen Monday 9 January 2017. We will be gathering your views in the new year on how the sector should approach Election 2017. This might include identifying the best way to ensure the new government are fully informed of our key issues. We will also be increasing our efforts to meet face to face with you to discuss the issues that matter most to you. Please let us know if you would like to meet sometime in the new year. 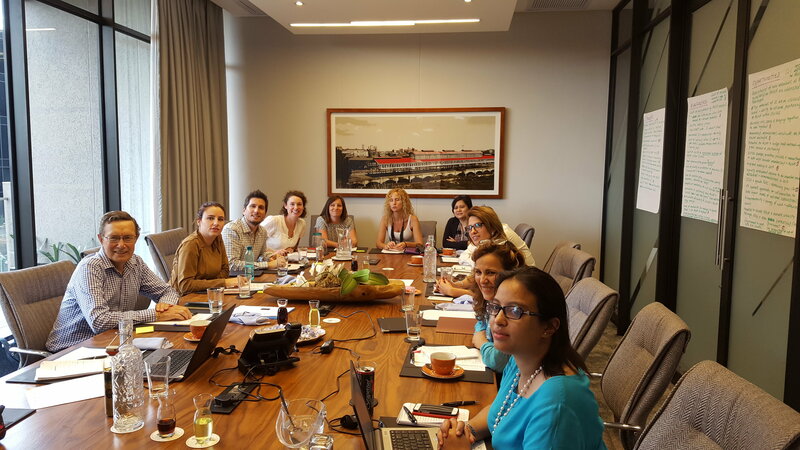 Members of the elected steering committee of AGNA, the Affinity Group of National Associations at CIVICUS – representatives from Argentina, Turkey, India, Philippines, Venezuela, South Africa and New Zealand along with CIVICUS staff. You may be aware the Government recently announced that it will be requiring community organisations to hand over client information to the Government to get funding, and some of these contracts are already in place. This contrasts with our sector’s ethos of protecting client confidentiality and building trust. Hui E! has had clear and strong messages of concern from many organisations. Particularly worrying is the policy being established that service providers who do not provide the personal information of clients to government, will be penalised by the removal of any funding to assist those clients. It’s a recipe for increasing the poverty and marginalisation of already-marginalised New Zealanders. Jan Logie, Green Party spokesperson for the sector, is organising a petition that calls on the Government to stop forcing community groups to hand over client’s information. She has asked us to share the details, and because we know this is such an issue for the sector – especially health and social services – we are passing on the information to you. Jan is encouraging us all to pass it on and give everyone the opportunity to know about it. Jan is also keen to talk to you more about this if you’re interested. Jan’s email address is Jan.Logie@parliament.govt.nz , phone (04) 817 6902, mobile 021 038 6101. Let Jan know if you have any questions or thoughts. She has also written a blog about the issue which you can find here. The Scoop Foundation for Public Interest Journalism and Public Engagement Projects have launched HiveMind, an exciting new technology platform for engaging the public on challenging current affairs topics. We are aiming to support a new kind of online public deliberation about complex contested issues in the hope of finding solutions and building consensus. The first big challenge is the contested and serious issue of sugar and obesity in Aotearoa New Zealand. We are inviting members of the public as well as people from the policy, health, education and food sector to participate over the three week experiment. Please check out the HiveMind exploration here: No Sugar Coating: what should we do? The SDGs are slowly developing momentum amongst academia here in Aotearoa. DevNet organised a conference in Wellington on “Pacific Currents, Global Tides”, which included a session on how to get action on the SDGs. 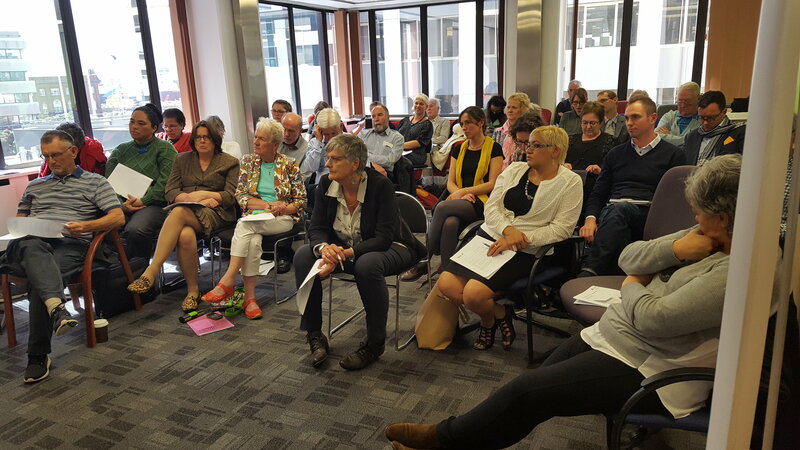 UNANZ also organised a seminar in Wellington on “The achievement of the UN SDGs”, which looked at rights and responsibilities, the NZ Human Rights Commission perspective and some program examples in the Pacific. The challenge is to increase awareness of the SDGs amongst our own sector. You may recall that Hui E! along with the Pacific Island Association of Non-governmental Organisations(PIANGO) and the Council for International Development (CID) released a web portal Our SDGs, which includes useful links related to each of the 17 SDG goals. The Danish Institue for Human Rights have developed The Human Rights Guide To The SDGs, which is a helpful resource towards understanding how the SDGs align with international human rights instruments. The challenge remains for our sector to drive the SDGs from a community perspective to ensure they are real, relevant and add value to the work we do and the lives of the people we serve. You may also recall that we invited you to send in your organisations work and priorities against the SDGs as a way of mapping progress. We created an Excel file that you can find here, just click on the link and download the file. The main purpose of this is to provide you with an overview of how the SDGs might look like from your perspective. We intend to provide regular progress reports once we have collected enough information, so please take a look at the Excel file and send in your organisations’ work and priorities. Also, please indicate if you would like any of your personal identifying information to be confidential. Hui E!, as a nationwide organisation focussed on promoting, strengthening and connecting the community sector is well placed to liaise with government on the SDGs – in this regard we would be happy to advocate on your behalf along with any other nationwide sector organisation. The challenge here is to ensure we have a fully informed collective voice so that when government is ready to engage we can assertively contribute. UN Women NCANZ has put together a fact sheet to focus attention on implementation of SDG5 in Aotearoa NZ, highlighting a number of indicators that are most compelling for us in terms of our UN Women mandate. We will be using this document to monitor and update each year until we reach 2030. It is a living document so we will be adding/adapting indicators as we progress. We welcome your feedback.